When the Monterey Bay Aquarium was first getting underway, local fisherman Giuseppe “Joey” Pennisi helped catch some of the octopus and ling cod to put in the tanks. But then, he says, his relationship with the aquarium soured with the launch of the Seafood Watch program. Many of the species he caught were on the "red" list of fish to avoid because of overfishing. "Early on, the aquarium really destroyed our fishery," says Pennisi. "We got hammered by that Seafood Watch card, it was really bad." Pennisi is a trawler, which means he drags huge nets behind his boat in deep water, hauling up thousands of pounds of fish at a time. 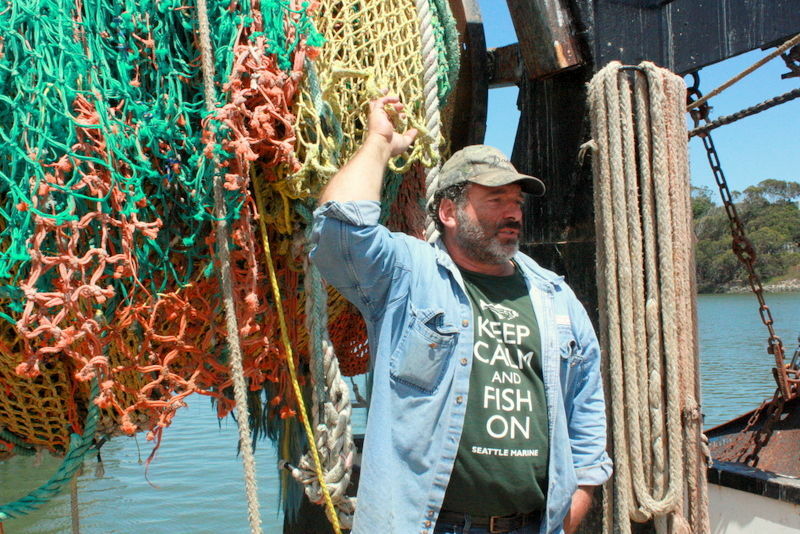 The sustainable seafood movement maligns trawl-fishing, and Pennisi says he understands why. Trawl nets can scrape and damage the ocean floor, and they're so big they can indiscriminately catch thousands pounds of unmarketable fish that end up dead. Pennisi has developed an innovative “light touch” net that hovers above the sea floor, and is sized to allow the juvenile fish to escape before fishermen haul the net on board. Pennisi installed GoPro cameras to monitor the nets underwater, and now the Environmental Defense Fund and NOAA are studying his efforts, looking at how to replicate them. And Pennisi has made peace with the Seafood Watch Program. Strict fishing limits and a "catch shares" program have helped the local groundfish fishery rebound. So now most of the rockfish are now on green and yellow status. And the Monterey Bay Aquarium has invited Pennisi to come and cook up his fish at aquarium events, and talk about his innovations.